Proposals for settlement, otherwise referred to as an “offer of judgment” are popular litigation tools used to put stress on parties to settle lawsuits. This approach concerns Florida Rule of Civil Procedure 1.442 and Florida Statute 768.79, and includes assessing attorneys’ fees and costs for a prevailing party or party that offered to settle a case prior to trial for a reasonable sum. What is Florida Rule of Civil Procedure 1.442? Florida Rule of Civil Procedure 1.442(b) is the “Proposal for Settlement” rule. It states that a proposal to a defendant shall be served no earlier than 90 days after service of process on that defendant; a proposal to a plaintiff shall be served no earlier than 90 days after the action has been commenced. No proposal shall be served later than 45 days before the date set for trial or the first day of the docket on which the case is set for trial, whichever is earlier. Any proposal for settlement must be in writing and have the following information: a) the name of the party to whom the proposal is relevant to along with the party making the proposal; b) identifying the claims that the proposal concerns; c) relevant conditions must be clearly stated for the settlement; d) the total amount of the settlement along with any non-monetary terms; e) amount for punitive damages, if any; f) whether attorneys’ fees are included; and g) a certificate of service that the proposal was sent to the concerned party. A Plaintiff has thirty days from the date of receipt to accept or reject the Defendant’s offer. They are typically sent via certified mail. If the Plaintiff fails to accept the offer within thirty days of receipt, it is considered rejected by law. Either party can withdraw their offer in writing at any time before an acceptance. Once withdrawn an offer is void. Additionally, if a party is entitled to costs and fees pursuant to applicable Florida law, said fees can be challenged for reasonableness, and judge can disallow attorney’s fees and costs if the offer is not made in good faith. The following are part of the Court’s considerations when deciding if the offer was made in good faith: 1) The then apparent merit or lack of merit in the claim; 2) The number and nature of offers made by the parties; 3) The closeness of questions of fact and law at issue; 4) Whether the person making the offer had unreasonably refused to furnish information necessary to evaluate the reasonableness of such offer 5) Whether the suit was in the nature of a test case presenting questions of far-reaching importance affecting nonparties; and 6) The amount of the additional delay cost and expense that the person making the offer reasonably would be expected to incur if the litigation should be prolonged. What Role does Florida Statute 768.79 play in this? Florida Statute 768.79 is the “Offer of Judgment” statute. The rule adds that if the Defendant in a litigation files a “proposal for settlement” pursuant to Florida Rule of Civil Procedure 1.442, the Plaintiff need achieve a verdict of greater than seventy five percent of the amount proposed by the Defendant. 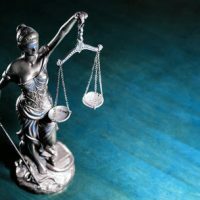 If there is a verdict for the Defendant or the verdict is less than seventy five percent of the proposed settlement amount, then the Plaintiff is responsible for the Defendant’s reasonable attorney’s fees and costs. The Plaintiff has the opportunity to take advantage of this statute as well. If the Plaintiff files a proposal for settlement under the above rules, and a jury verdict exceeds the offer by twenty five percent or more, then the Defendant is responsible for all of the Plaintiff’s attorneys’ fees and costs. The Florida Supreme Court’s decision in Allen v. Nunez, [No. SC16-1164 (Fla. 2018)] reinforces the consensus that proposals for settlement must only be reasonably unambiguous when read as a whole. In reversing Florida’s Fifth District Court of Appeal and finding the proposals for settlement at issue to be unambiguous, the Court stated, “[t]he ‘nitpicking’ of these offers by the district court below to find otherwise unnecessarily injected ambiguity into these proceedings and created more judicial labor, not less.” Id. at 22. Allen originated from a case concerning a motor vehicle accident. The Defendants were a father and son—the Defendant-father owned the vehicle being driven by the Defendant-son, who hit the Plaintiff’s unoccupied vehicle. The Plaintiff served separate proposals for settlement on each Defendant under Rule 1.442 and cited Statute 768.79 as the basis for the proposal. Also, each proposal identified: (a) the Plaintiff, by name; (b) the Defendant, by name; (c) that the proposal is for the purpose of settling any and all claims by Plaintiff against Defendant; (d) the settlement amount to be paid by Defendant to Plaintiff ($20,000); and (e) that the proposal “is inclusive of all damages claimed by Plaintiff, W. RILEY ALLEN, including all claims for interest, costs, and expenses and any claims for attorney’s fees.” After Plaintiff secured a judgment entitling him to attorney’s fees pursuant to Statute 768.79 and Rule 1.442, Defendants moved to strike the proposal and claimed that paragraph 5 of the proposals (emphasized as (e) above) “were ambiguous as to whether acceptance and payment of one of the $20,000 proposals for settlement would have resolved the case against both [Defendants] or only against the individual [Defendant] accepting the proposal.” The trial court granted Plaintiff’s motion to compel the proposals, finding them to be sufficiently clear and unambiguous, and the Fifth District reversed, holding that paragraph 5 of the proposals caused them to be ambiguous and unenforceable. While the Court in Allen generally advises lower courts against inserting ambiguity into proposals that, when read as a whole, are unambiguous, this case is specific to a single offeror sending proposals for settlement to multiple offerees. Since proposals for settlement could include any number of variables specific to each individual case, the parties and causes of action that would be resolved by the settlement should be identified at every opportunity within the proposal to decrease the chance that an offeree, or court, may sense an ambiguity to subsist. Plaintiffs and defendants, must avoid any ambiguity that could serve to render unenforceable a proposal under the offer of judgment statute, thus shifting the burden of paying attorneys’ fees back to the prevailing party. Florida Rule of Civil Procedure 1.442 and Florida Statute 768.79 may seem harsh, but sometimes these rules can push a party just enough to settle a case without costing both parties unnecessary litigation expenses based on what the parties speculate a jury might do with the facts of a particular cause of action. Ultimately, the avowed purpose of these statutes is to serve as a fee shifting mechanism and, most importantly, reduce litigation. Sweeney Law, P.A., has been involved in the drafting, negotiation, and litigation of millions of dollars of proposals for settlement and offers of judgment throughout the state of Florida. If you have any Florida law questions on these and/or any other issues then contact Sweeney Law, P.A. at (954) 440-3993 immediately to protect your rights. www.sweeneylawpa.com.